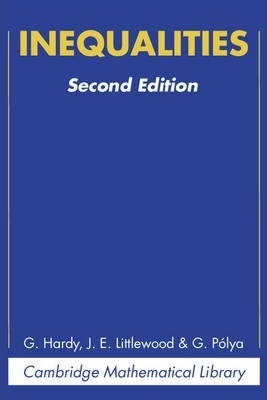 This classic of the mathematical literature forms a comprehensive study of the inequalities used throughout mathematics. First published in 1934, it presents clearly and exhaustively both the statement and proof of all the standard inequalities of analysis. The authors were well known for their powers of exposition and were able here to make the subject accessible to a wide audience of mathematicians.